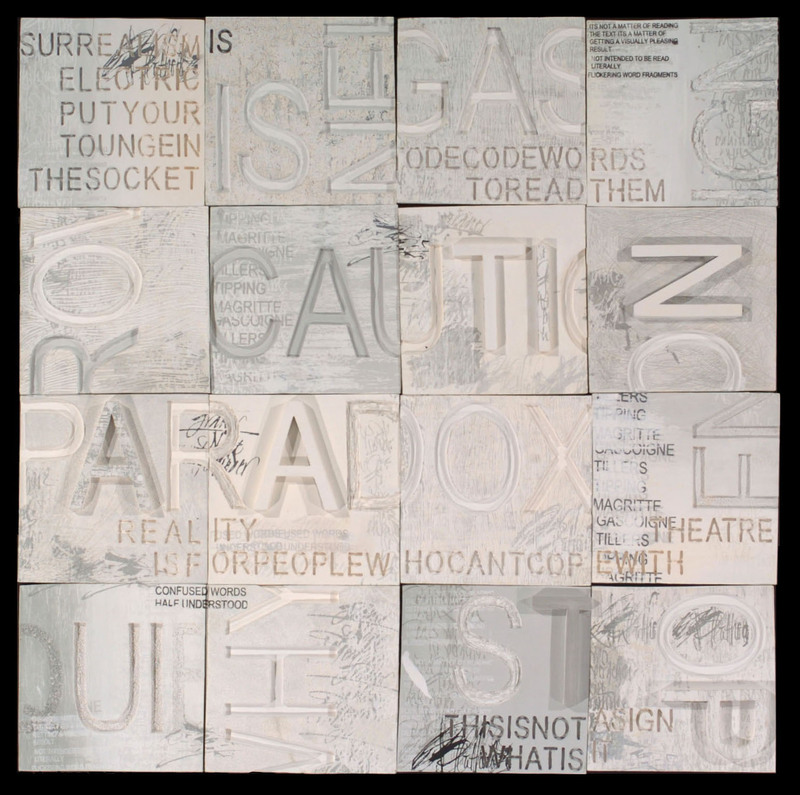 I have created relief characters of texts from Australian postmodern artists and dada artist Magritte, using white hand-building clay ceramics combined with silk-screen printing underglazes. Our eye unconsciously deciphers words or whole texts and cannot embrace its aesthetics. I have blurred the edges between legibility and illegibility, following the work of Richard Tipping and Rosalie Gascoigne, to form a capricious and visually challenging artwork. These works by Gemma Lush and Rosalie Gascoigne investigate and manipulate text within elements of assembled flat surfaces. 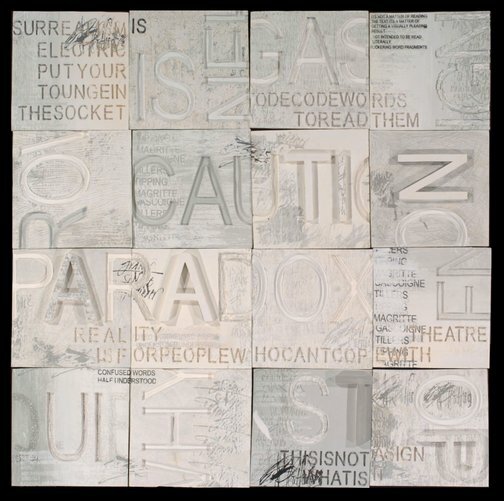 How have the use of ceramics in Scrabble (a way with words) and found road sign materials in Metropolis created different surface qualities? Compare the formal arrangement and layering of text in each work. In both the text is obscured and rendered meaningless, formally creating complex abstract arrangements. Why then is the use of text still an integral component to the works?